Smart businesses know that social media is a power to be reckoned with, as it creates a direct line of communication between your company and consumers and allows anyone with an internet connection instant access to the latest buzz around your products or services. Not to mention, it can help you to generate revenue, while building your brand presence. Let that marinate for a second. This potential for a triple treat is no task to walk into empty handed or unprepared. Unless you want to turn your social media endeavors into a triple threat, you should develop a strategy (one based on as much knowledge as possible about your audience and their behavior). The 14 tools below will help you and your social media manager take on the complexity of the job. While Google analytics can provide a plethora of information, the data can often be daunting and complicated. So to jazz up data, try Visually’s Google analytics report, which is an app that creates a custom infographic of your website’s activity and performance. This free report tells your website’s story for the week loud and clear. It highlights where your wins came from, which gives you that push to make next week even better. You can opt to have these reports delivered straight to your inbox every week. This free, easy-to-use Twitter-management tool allows you to oversee all aspects of your Twitter account(s) in one interface. TweetDeck gives users the freedom to customize their display by showing or hiding various columns. Considering TweetDeck is specifically tailored for Twitter, it may not be the best tool for those looking to simultaneously manage various social networks in one place. Nevertheless, it gives a great deal of control over the intricacies of your Twitter profile without the hassle of navigating across profiles. HootSuite takes it a step further and allows you to manage multiple social streams like Twitter, Facebook, LinkedIn, Google+ and Foursquare, among others. The platform makes it possible for you and your team to delegate between responses to fans and followers, eliminating the stress of coordinating responses and potentially overlooking valued fans. While HootSuite remains one of the most used social-media management tools, it does lack a basic function: The ability to have images appear as image previews in the Twitter feed as opposed to collapsed links. 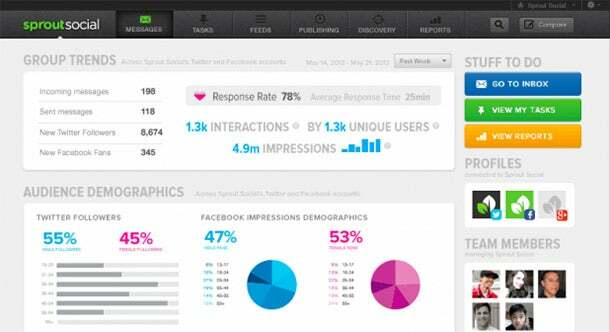 Like Hootsuite, Sprout Social is a social-media dashboard that monitors and manages multiple social networks. It has a clean interface and user-friendly dashboard built around six tabs: Home, Messages, Feeds, Publishing, Discovery and Reports. Connecting your Facebook, Google+ (Pages only), LinkedIn and Twitter accounts, Sprout Social suggests new people to follow or unfollow and offers many ways to schedule updates in advance. Although Sprout Social still has much to improve on (like offering a wider range of social networks), it is paving the way towards fruitful social-media managing. If your main focus is Twitter and Facebook, then this is the tool for you. 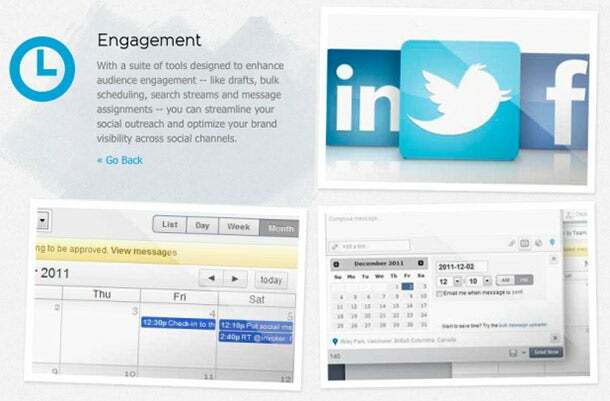 Crowdbooster helps streamline your social-media activity, so you pay attention to what matters. Aside from scheduling posts for both Twitter and Facebook, it allows you to easily keep track of new fans and followers by reminding you of followers you have not yet responded to and listing recently acquired influential followers. Although there seems to be a lag time between the syncing of Crowdbooster with Facebook and Twitter's API data, it presents a dynamic tool that helps direct growth and engagement metrics. 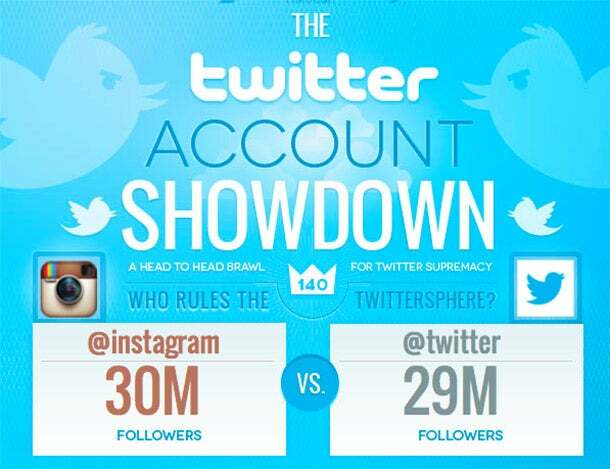 The Twitter Showdown app allows users to compares any two Twitter accounts head-to-head. While the app is meant to be a light-hearted, fun way to see who rules the Twittersphere, it can also produce some insightful information on different Twitter accounts in your industry or when comparing yourself to your competitors. Twitter Showdown gives you insight on follower-to-following ratio, level of tweet engagement, mentions per tweet, tweet timing and, overall, how two accounts compare. 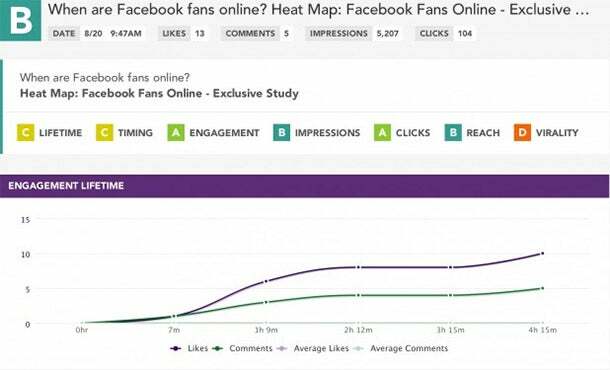 Although Facebook pages comes equipped with insights and provides significant data on likes, reach and people talking about this, among other metrics, sorting through the data and making sense of it can be a hassle. Edgerank Checker helps admins understand how their followers interact with each post by assigning it an Edgerank score and makes recommendations to assist with future posts. With this tool, admins can even monitor each post in real time. Buffer is a simple and effective tool for sharing content through Facebook, Twitter, LinkedIn and Google+. It’s particularly useful for small businesses that don’t have the time or resources to update their social media channels regularly but would still like to maintain a social presence. 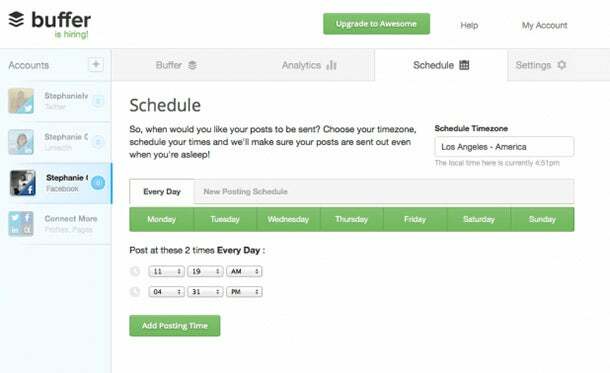 With Buffer, you can schedule bulk posts ahead of time in a queue. It also offers a number of extensions through Chrome, Firefox and Safari, which makes sharing what you find on the web that much easier. On the downside, Buffer falls short when it comes to monitoring discussions. 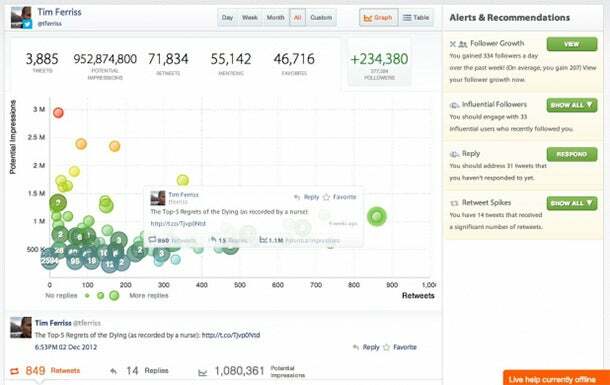 Specific to Twitter, SocialBro provides insights to your analytics, suggestions for targeting and engagement. It also helps keep tabs on your key influencers and competitors. It works best when coupled with a scheduling tool like Buffer or Hootsuite, because it is geared less towards publishing content and more towards offering reports for marketers. With SocialBro’s integration of both Buffer and Hootsuite, you can import the optimized schedule to sync with your queue and use the results to adjust your engagement. Postling is perfect for businesses looking to expand their reach across social networks. Keeping track of responses, brands and people, this tool sends a daily digest of your recent activity across Facebook, Twitter, LinkedIn, blogs, Yelp, YouTube and Flickr. One cool feature is tracking news every time your business or brand is mentioned on the web. With a click, you’ll be able to share that tweet or review. Previously known as Pinreach, Tailwind tracks activity across Pinterest including information about your company, products and competitors. In addition to the general reporting of growth and engagement, you can connect Google Analytics to track conversions and see which activity is most profitable. Social Mention is a real-time social-media search and analysis tool that scrapes user generated content across the internet for any given company, product or search term. In a single stream, this tool will give you the most recent relevant results, metrics on unique authors, reach, frequency of mentions, sentiment and top keywords. This tool should be on every social media manager’s shortlist. 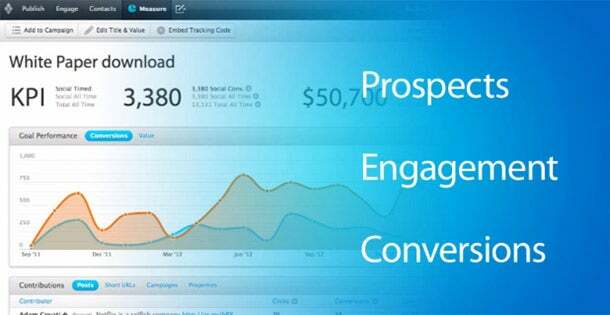 Shoutlet is an enterprise-level social-marketing software that aims to help companies understand their market, grow their social database and drive their business by creating a seamless platform that guides targeted campaigns through analytics. In addition to publishing and scheduling content, the streamlined community-management platform makes it easy to create custom workflows to ensure the needs of all customers and fans are being addressed. 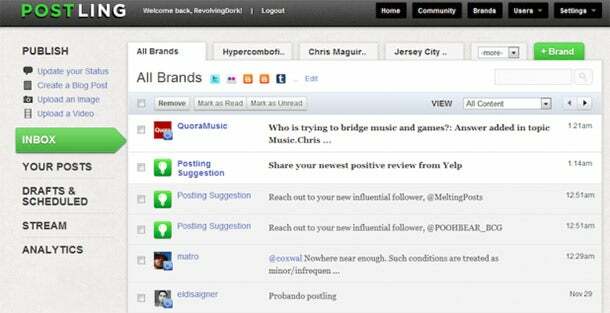 Similar to Shoutlet, Argyle Social focuses on building stronger relationships with your social following. It helps you establish your most valuable content, ensuring your efforts add value to your marketing strategy. 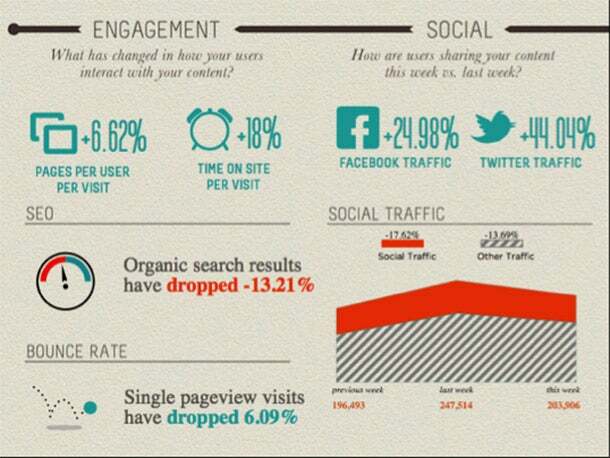 Argyle Social places emphasis on B2B social marketing by monitoring prospects and tracking conversions. Underscoring their focus on B2B engagement, Argyle Social has integrated with Marketo, Pardot and Silver Pop, by directly linking social media actions to the impact on marketing and sales.